The second incidence of poisonings has reignited fear and speculation about the substance. 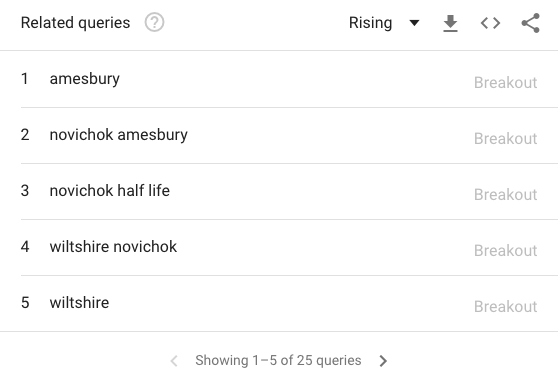 According to Google, there has been a huge increase in the search term “Novichok half life”. Half life is a term commonly used to describe the amount of time it takes for half of the atoms of radioactive poisons such as polonium to disintegrate. Polonium is what killed the former Russian spy Alexander Litvinenko in 2006. Atoms in radioactive materials have unstable nuclei, meaning they can split up (decay to a stable state) by giving off nuclear radiation. Some types of radiation are harmful only if the substance is inhaled or ingested, while other types can penetrate and damage human tissue even if the material is external to the body. Ultimately radiation damages cells, affecting their ability to divide normally. Large doses can cause acute radiation poisoning, which can kill you very quickly as the organs in the body stop functioning. Smaller doses have the potential to damage DNA over time, causing cancer decades after the exposure. Radioactive substances can have very long half lives, from seconds up to several billion years (for uranium-238). The polonium that killed Litvinenko had a half life of 138 days. This means that it would stay in the environment for several years. While half of the atoms may have decayed after 138 days, it would be another 138 for half of that to decay, and so forth. We can apply the term “half life” to nerve agents too, although this would relate to its rate of loss from the environment due to the action of wind, rain, sunlight and bacteria rather than the rate of atomic decay. For VX, the amount present will diminish by about 50% every three days in grass. 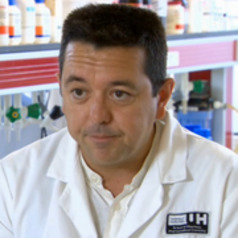 If Novichok agents undergo a similar rate of loss in the environment, then very little would remain after a month in a sample that has been exposed to the elements. However, for those searching half life it’s important to state that nerve agents aren’t radioactive materials. The actual toxicity and chemical properties of Novichok remain a closely guarded secret for security reasons. But we do know a few things about it. Nerve agents are chemicals that essentially short-circuit parts of the nervous system leading to constant stimulation of muscles, secretory glands and uncontrolled brain activity (similar to epilepsy). This can cause breathing difficulties by paralysing the muscles which help us to breathe. Nerve agents are normally liquids at room temperature. There are three main types: non-persistent, mid-volatility and persistent. This is based on how quickly the liquid chemicals evaporate and dictates how people become exposed. For example, the nerve agent Sarin is quite volatile and so is non-persistent, as the liquid will rapidly disperse into the air as a vapour. This means that human exposure to Sarin is almost exclusively from breathing in the vapour – it does not hang around long enough to be absorbed through the skin. At the opposite end of the spectrum, the nerve agent known as VX is practically non-volatile and so is categorised as a persistent agent. Novichok appears to be very similar and so its effects will be mainly due to skin absorption following contact with the liquid agent, or from ingesting contaminated food or drink. Skin exposure to VX does not cause immediate or rapid poisoning. Indeed, the first signs and symptoms of exposure can take up to 18 hours. Radiation poisoning can be treated in part by attempting to remove any residual radioactive material from the body. One way of achieving this is to use “chelating agents” which can bind radioactive elements to help excrete them from the body. As the main effect of radiation is on rapidly dividing cells, the immune system can suffer extensive damage. Drugs to boost the production of white blood cells can therefore be used to help prevent infection. Supportive treatments to reduce vomiting, diarrhoea and dehydration are also used. Removing the substance from hair and skin with water will also substantially reduce the risk of paramedics and hospital staff getting contaminated. They can then safely administer the “triple therapy antidote”, which consists of drugs that can help to counteract muscle paralysis and limit potential brain damage. There are many ways to decontaminate towns following radioactive contamination depending on what substance was used and how it was spread. Basic clean up techniques include removing contaminated items, washing affected areas with large volumes of water and fixing the contaminant in place using specialist paints or plastic coatings that can then be peeled off to remove contamination. Similarly, in the case of the recent Novichok poisoning, the UK government has spent millions of pounds removing potentially contaminated grass, soil, paving stones and other items from areas around Salisbury. This is why Novichok is most likely a persistent nerve agent, which may last for days or weeks in the environment before being diluted through natural weathering or neutralised by the action of sunlight, bacteria or water. The main difference between the two clean up procedures between radioactive poisons and nerve agents is that radioactivity is much easier to detect, often from a safe distance using instruments such as a Geiger counter. However, small but toxic quantities of persistent nerve agents are likely to be very difficult or impossible to detect using handheld instruments. Therefore, contamination would need to be confirmed by taking a surface swab which would need to be transported to a laboratory for chemical analysis. So while radioactivity may be around for much longer than nerve agents, the latter can be more difficult to decontaminate given that it is so hard to know exactly where it is. Indeed in the most recent case, the pair exposed to Novichok reportedly had high concentrations of the substance on their fingers. But finding out exactly what item it is that they have touched is a bit like looking for a needle in a haystack. Luckily there’s a big operation underway to look for it.